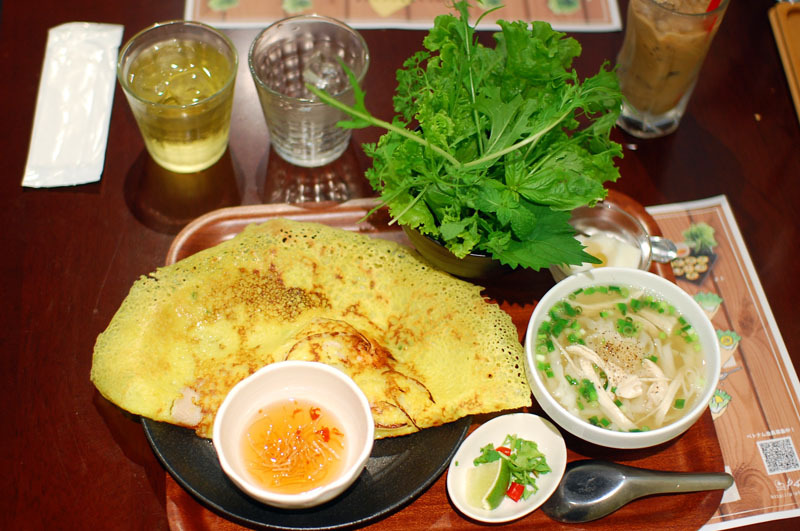 These days you can find pho in many a hip Japanese cafe, but you have to venture further out of your way for good, authentic bahn xeo, those wafer-thin, crepe-like pancakes that are the eponymous specialty here. The banh xeo at Banh Xeo Saigon come in several enticing varieties - shrimp and pork (the standard at most places); mixed seafood; four-mushroom; sakura shrimp; cabbage and pork with mayonnaise; and spicy potato, bacon and cheese. Each order comes with a bowl full of foliage - romaine lettuce, mint leaves, various greens - in which to wrap your crepe. Lunchtime combination sets with pho or spring rolls are quite reasonable, and you can top things off with a very sweet Vietnamese iced coffee with condensed milk if your afternoon needs an extra boost. 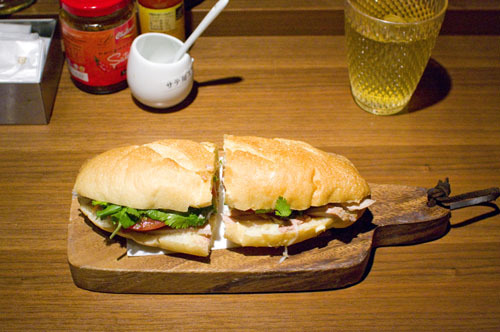 Snack-sized banh mi sandwiches are just Y524. If you want to explore the a la carte menu at dinnertime the enthusiastically spiced yellow and green curries are well worth a try. The special Vietnam beefsteak, on the other hand, with its Chinese-inspired seasonings and accompanying thick-cut fries, might be a more of an acquired taste. 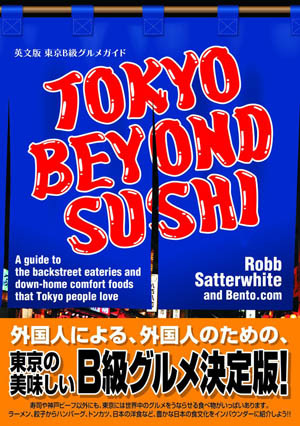 Budget around Y1000 for lunch (served until fairly late in the afternoon) or Y3000 for dinner with a couple of drinks. 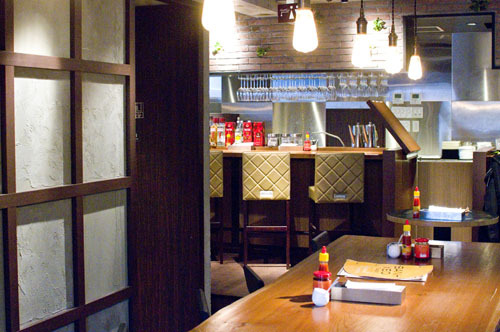 Shinjuku-ku, Shinjuku 3-36-14, Kawano Annex Bldg 6/7F.